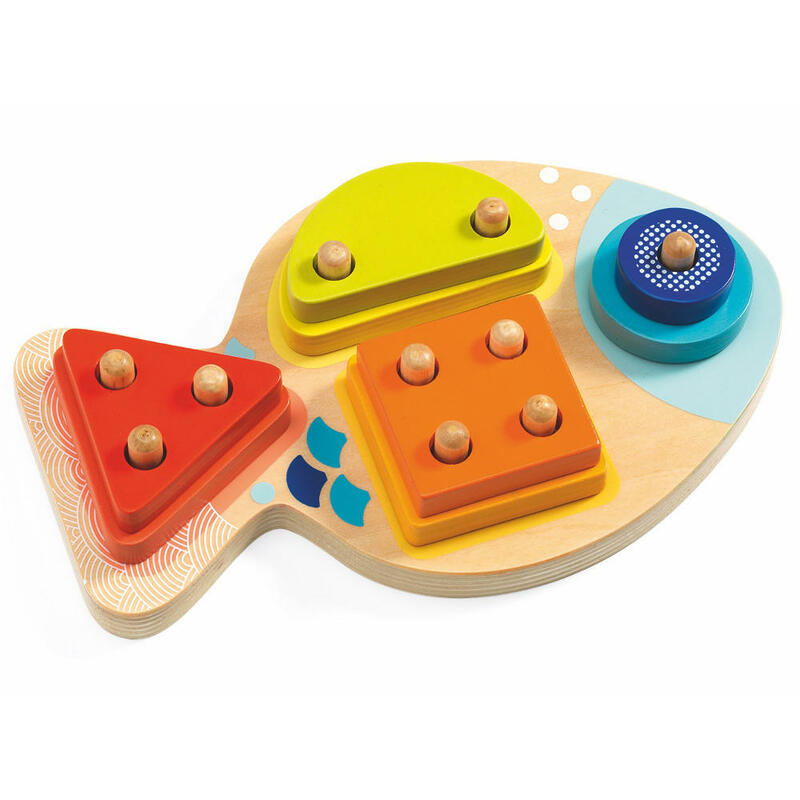 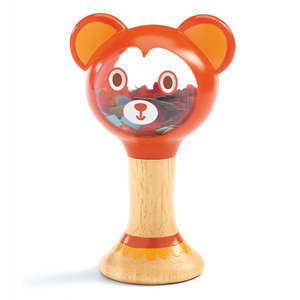 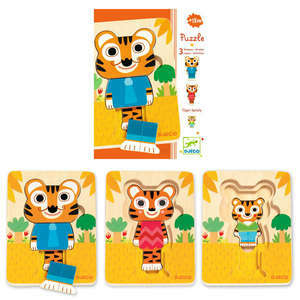 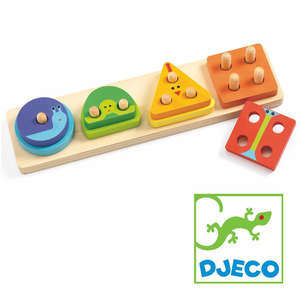 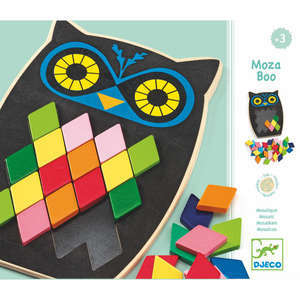 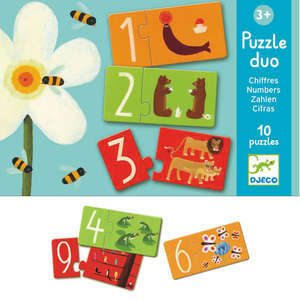 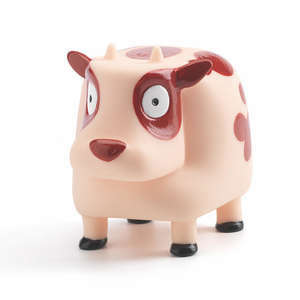 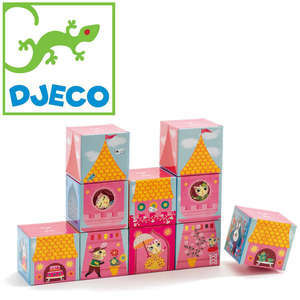 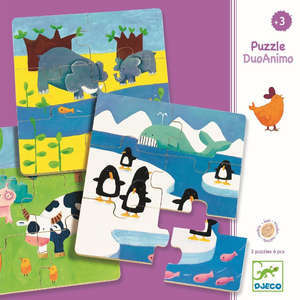 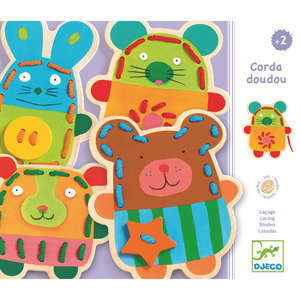 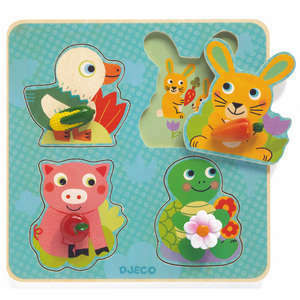 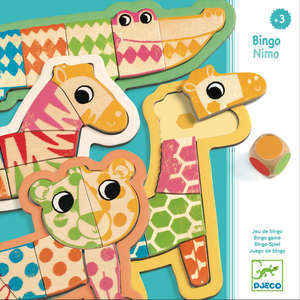 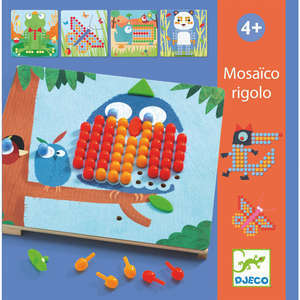 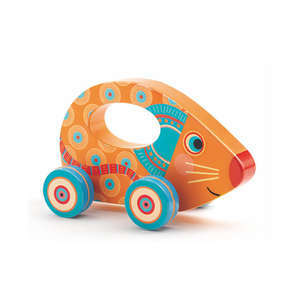 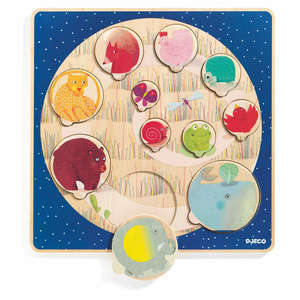 1,2,3,4 Bloop is a lovely fish shaped wooden stacking toy from Djeco. 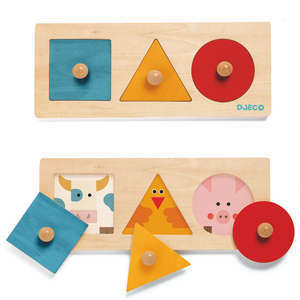 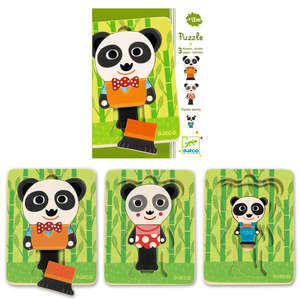 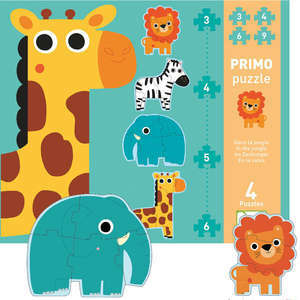 Featuring colourful squares, circles, triangles and semi-circles to aid both colour and shape recognition. 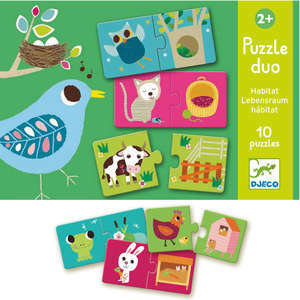 Puzzle approx 22.5 x 14 x 4.7cm. 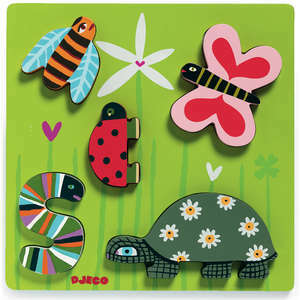 Box approx 23 x 15 x 5cm.